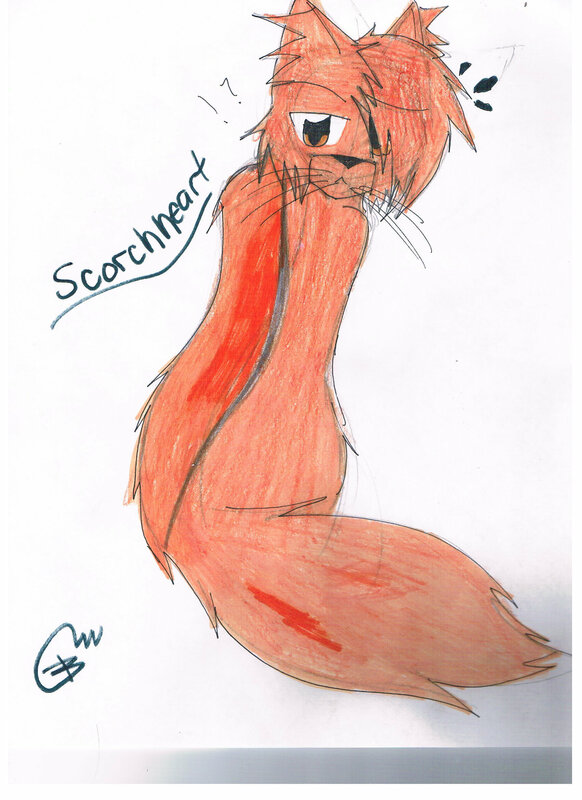 Scorchheart. . HD Wallpaper and background images in the Make Your Own Warrior Cat! club. This Make Your Own Warrior Cat! photo might contain मोबाइल फोनों के लिए, हास्य पुस्तक, मंगा, कार्टून, एनीमे, कॉमिक बुक, and manga.